In order to strengthen physical exercise and team cohesion, on March 23, 2019, The international Team of Pingxiang Chemshun Ceramics Co.,Ltd held a badminton match at Lanbowan, Pingxiang. 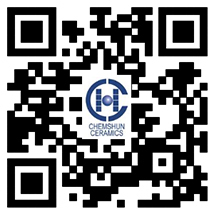 Chemshun Ceramics afford the solution for industries and solve the client’s industrial wear problem. Many customers asked us the weldable tile and its installation, such as one client require the alumina ceramic plate inclusive the hole + plug(block) with shell. In the hole there should put a steel plug / shell and weld the plate in the bunker and need a ceramic (AL2O3 92%) circle to close the hole. Pingxiang Chemshun ceramics co.,ltd will have the 2019 Chinese New Year holiday from Feb 01st to 10th, 2019. If you need any information please email to office@chemshun.com We'll check email during the holiday.